"I have apple music and downloaded all my songs onto my computer. However, when I went to import them into musicbee, nothing seems to happen. I feel dumb for asking this but can someone help me out?" Many Apple users have experienced such problems when trying to import/ add Apple Music to MusicBee player and it can be a little bit tough on your side especially if you can't find a way out. If you are an Apple Music subscriber and also want to transfer Apple Music to MusicBee, this article will provide an effective solution to help. Can I Play Apple Music Files on MusicBee? Apple Music is a streaming service that adds a DRM (digital rights management) layer to its streaming music collection. Due to Apple Music DRM protection, you are limited to enjoy Apple Music on selected media devices. Currently, Apple Music is mainly available for all iPhones, iPads, and iPod touch models that are running iOS 8.4 or later; it’s also available on the Mac and PC via iTunes 12.2 or later; on Android; and on the Apple TV. However, most of MP3 music players (including Music Bee) still doesn't support playing Apple Music, so users can't directly add Apple Music to MusicBee for playing. Since Apple does not offer a solution to sync Apple Music to MusicBee for playback, the best decision you can make is to choose third-party software that can safely remove DRM from Apple Music and convert these DRM-ed Apple Music files to DRM-free audio files. 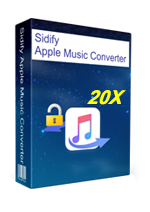 Sidify Apple Music Converter is specifically designed to rip the DRM protection from Apple Music and iTunes M4P music legally, and losslessly convert them to the DRM-free audio formats, thus the converted Apple Music songs can be imported to MusicBee for playback. Convert Apple Music songs to plain MP3/AAC/WAV/FLAC formats. Reserve the original sound quality for converted music. Fast Conversion Speed; Keep ID3 Tags & all metadata;. How to Play Apple Music Files to MP3 on MusicBee? 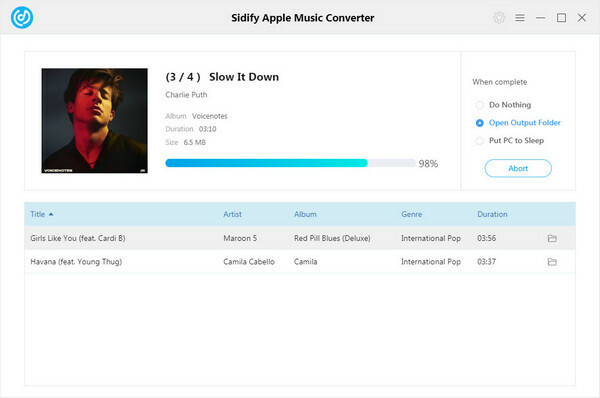 Sidify makes it possible to stream Apple Music to MusicBee using four steps. 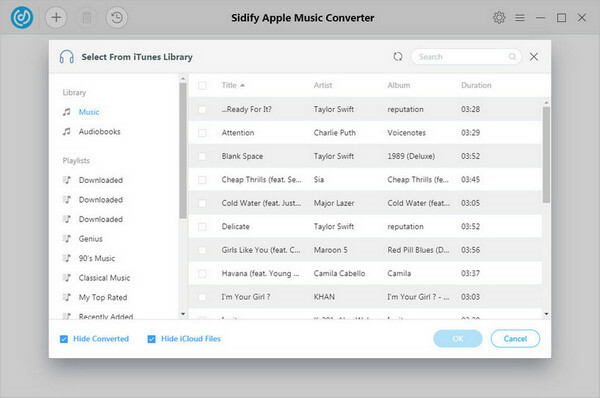 At first, you need to download Sidify program on your computer. In the following guide, we will take Windows version as an example to show you how to Convert Apple Music to MP3 format and add them to MusicBee for playing. 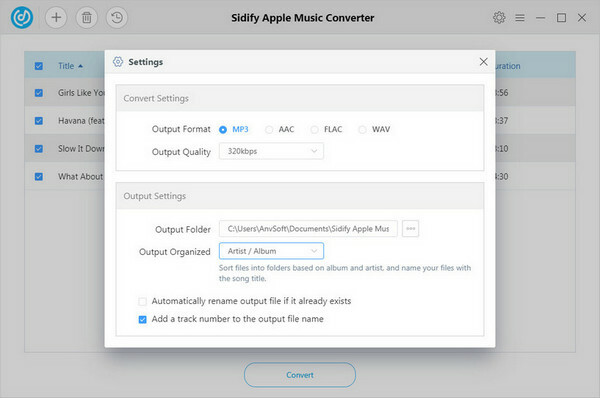 Launch Sidify Apple Music Converter and click " " or the interface of program, all your tracks downloaded from Apple Music and iTunes will show out as below. Choose the music that you want to convert, then click "Ok". Then click button on the top right of Sidify interface to set the output format as MP3, AAC, WAV, FLAC and choose output quality up to the highest 320 Kbps. And the output path is also changeable if required. Once all the settings are made, go ahead and click on the “Convert” button. Once conversion finished, click to find the converted Apple Music files under target folder. Finially, you can now add conveted Apple Music to your MusicBee. Below are the best two methods to add local music files to MusicBee. 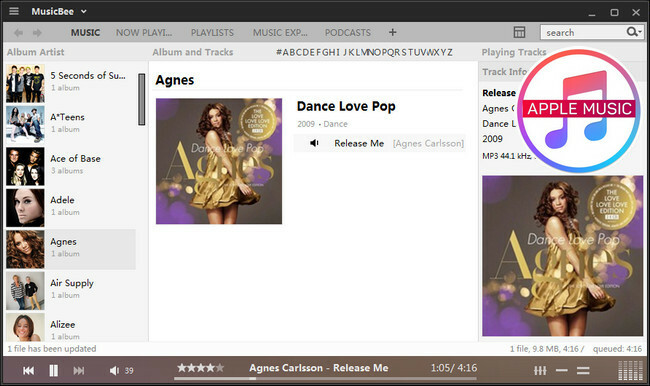 Method 1: You can manually drag and drop the music files to MusicBee main interface, then files would be loaded soon. Method 2: Launch MusicBee on your computer. To manually import files at any time, you can go to File > Scan Folders for New Files in the program menu or use the hotkey for the same command ("Insert" by default). Either one will open the dialog at right. As with the initial import, you can select the folder(s) to be scanned. 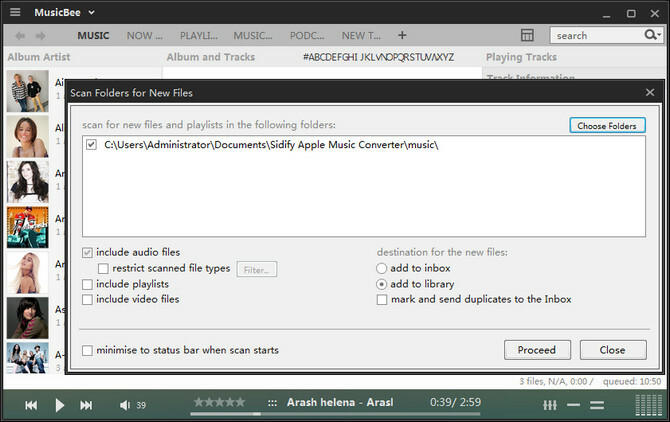 Once adding music files to MusicBee, you can start playing your Apple Music on MusicBee freely.